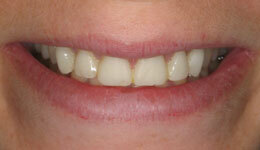 Revitalize your smile instantly with porcelain veneers. 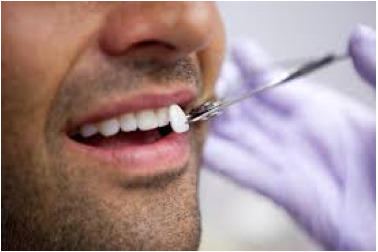 If your teeth have become worn down or stained (as they often do with age), or if your have a chip or a gap between teeth, you should consider a smile makeover with custom porcelain veneers. In less than a week, you can rejuvenate and brighten your smile, take years off your appearance, and give your confidence a boost with beautiful veneers from the top NYC cosmetic dentists at Rockefeller Cosmetic Dentistry. Dental veneers are ultra thin layers of porcelain that are custom designed to fit your teeth and then bonded onto their surfaces, creating an end result of your natural smile — but brighter. 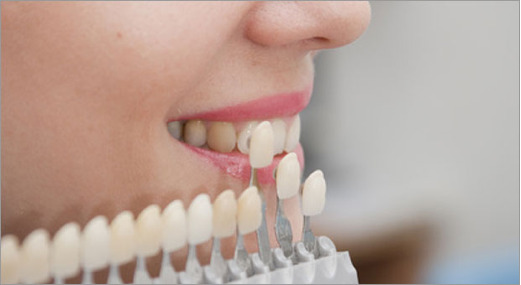 Your dentist will overlay your porcelain veneers onto your teeth, improving and enhancing their shape, size, and color. These veneers are a thin, translucent, undetectable, and affordable cosmetic dentistry service that quickly, easily, and beautifully enhance your smile in whichever way you desire. Veneers are custom-made for each individual patient, and we work exclusively with a lab that creates veneers exactly to our doctors’ specifications – to ensure your smile is transformed exactly the way you envisioned. The popularity of porcelain veneers in Manhattan has grown exponentially in recent years as they are a simple, non-invasive way to brighten and improve your smile. Our Manhattan office at Rockefeller Center makes cosmetic dental treatment quick, easy and something you can often fit into a lunch break, so you won’t have to take time out of the rest of your day. Fix stains and discolorations. Using a color key, your dentist will match your surrounding teeth to the custom-made veneer, allowing for seamless blending between it and your natural smile. Cover cracks or chips. Cosmetic imperfections are a thing of the past with these coverings. 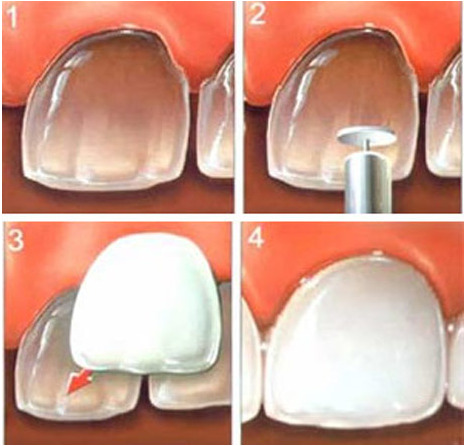 For larger cracks, a dental crown may be recommended. Turn back time on worn teeth. Restore your youthful smile. Aging teeth slowly deteriorate and discolor — covering them with veneers will reverse the effects of time. Straighten out that smile. 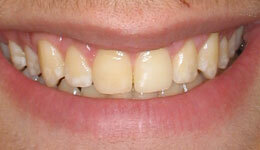 Veneers even out the appearance of different sized and shaped teeth, restoring uniformity to your smile. Smile like a celebrity. Especially at our Rockefeller location, celebrities routinely fix their smiles with veneers. 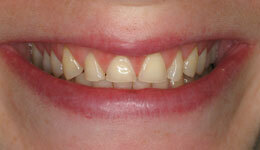 Do porcelain veneers look like natural teeth? Porcelain veneers are ultra-thin layers that, when bonded to the teeth, appear to be the surface of the tooth and can not be detected. The surface of the thin ceramic veneers is even better than tooth enamel, as it resists stains – even common substances that usually show up on teeth over time like coffee or cigarettes. Since they have the appearance of healthy, bright white tooth enamel and are extremely strong, they are an ideal dental restoration option. 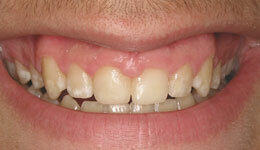 Porcelain veneers can last for years and years with proper care – usually well over a decade. We ensure that our veneers are made of the best quality porcelain and, as with all of our treatments, our dentists are highly specialized and we only use the most advanced materials available. In the very unlikely event that one of your veneers breaks due to an accident, it is possible to replace just the broken veneer. Which dentists can place veneers? Placing veneers properly requires extreme precision and great attention to cosmetic detail, which requires technical skill. As porcelain veneers are one of the top choices of our midtown Manhattan clientele, our qualified dentists routinely place porcelain veneers. Best yet, we customize each case completely to the individual patients like yourself – improving and enhancing the naturally beautiful qualities of their smiles. At our location in Rockefeller Center, we see many prominent figures such as actors, news anchors, professional athletes, and high-profile businessmen and women whose images are critical to their success. Porcelain veneers are a go-to in these industries to transform smiles from fair to flawless in as little as a few days, boosting image and self-confidence – the keys to success. If you are unhappy with the way your smile looks, we can work with you to transform it quickly, painlessly and naturally with porcelain veneers. There’s no better time than the present to restore your smile. 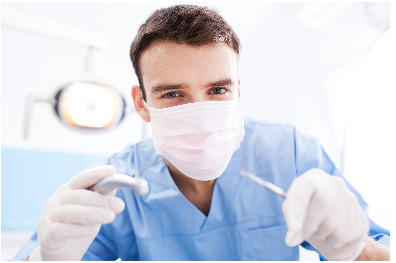 Call us at (212) 581-1091 or visit our consultation request page to schedule your dental consultation today. Want an even more pain-free veneer procedure? Ask about our special LUMINEERS veneers!